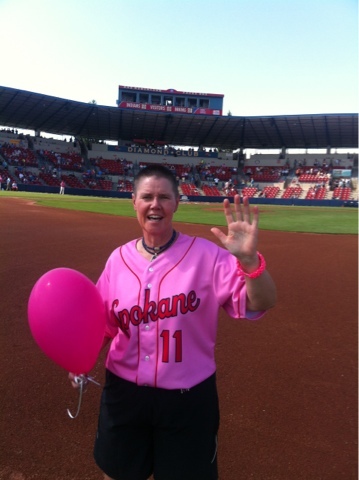 Had a great time today at the Spokane Indians Pitch for the Cure. Did a live radio interview, inspired the crowd with a few words of inspiration and saw many friends. Great day to be a Survivor!